Daniel Bernoulli was a Swiss mathematician born on 29th January 1700 in Groningen, Netherlands. He belonged to a family of mathematicians. His father Johann Bernoulli was one of the first developers of calculus and his uncle and older brother are known as ‘by far the ablest of the younger Harpers’. At the age of 7, Daniel expressed his desire to study mathematics but his father encouraged him to study business instead. Daniel agreed on the condition that his father would tutor him in mathematics. His relation with his father was sour due to the shame that he felt after coming in the same place in a scientific contest in the University of Paris. He went as far as using plagiarism. Despite Daniel’s efforts of reconciliation, his father did not end the grudge till he died. In 1724, Daniel went to St. Petersburg to fill the post as Professor of Mathematics. He was, however, not satisfied there thus resulting in his resignation in 1733. He went back to the University of Basel. He was also selected as a Fellow of the Royal Society in May 1750. ‘Exercitationes’ meaning ‘Mathematical Exercises’ was published in 1724. This was his first mathematical work. One of his most notable works is ‘Hydrodynamique’ which was published in 1738. After this he also wrote a memoir stating the theory of tides. It received a prize from the French Academy. He wrote several papers containing mechanical questions concerned with vibration of strings and works of Brook Taylor and Jean le Rond d’Alembert. He made discoveries on the motion of fluids. A significant discovery was the connection between the speed of the flow of blood and its pressure. Daniel did an experiment in which he set up an apparatus showing the relation between the two values. This became the normal way of measuring blood pressure; by piercing the artery with pointed glass tubes. It was later when the less painful method was used. However this method of Bernoulli is used to measure the airspeed of a plane. He also wrote the ‘Specimen theoriae novae de mensura sortis’ meaning the ‘Exposition of a New Theory on the Measurement of Risk’. He also solved a statistical problem in 1766 in which he analyzed smallpox disease and transience to demonstrate the efficiency of vaccination. It was Bernoulli who discovered the fluid equation. It is now used as 1/2pu to the power of 2+p=constant. Bernoulli also made significant contributions to physics such as his formulation of the kinetic theory of gases and using this he explained the Boyles Law. He also did a lot of work on elasticity and beams. The Bernoulli Principle is highly useful in aerodynamics. 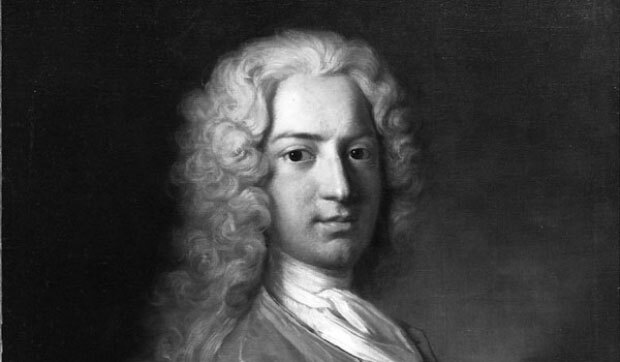 Daniel Bernoulli was honored during his life for his immense contributions to mathematics and physics. He was an elected member of the leading scientific societies of that time such as those in St. Petersburg, Berlin, Bologna, Paris, London, Bern Zurich, Turin and Mannheim. Daniel had lost his interest in the field mainly due to his strife with his father which had remained unresolved till his death. Daniel died on 17th March 1782 when he was 82 years of age.